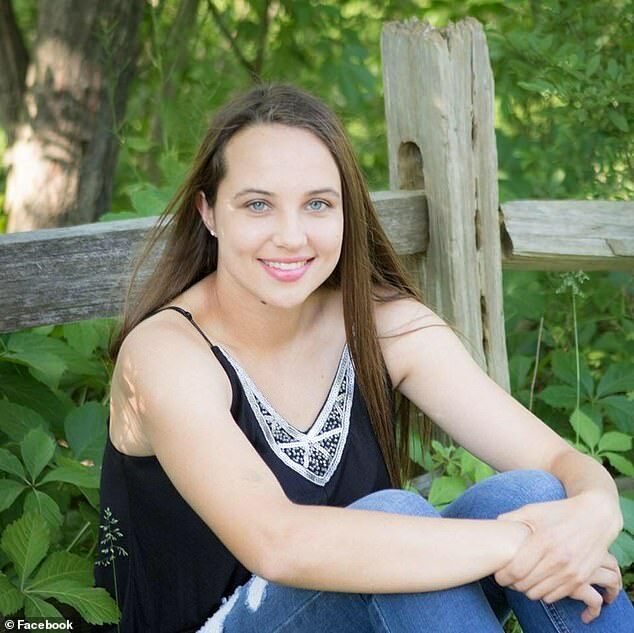 A collegiate athlete who was ‘disowned by her family for being gay’ has stopped accepting donations after ‘receiving more than she could have ever expected’. 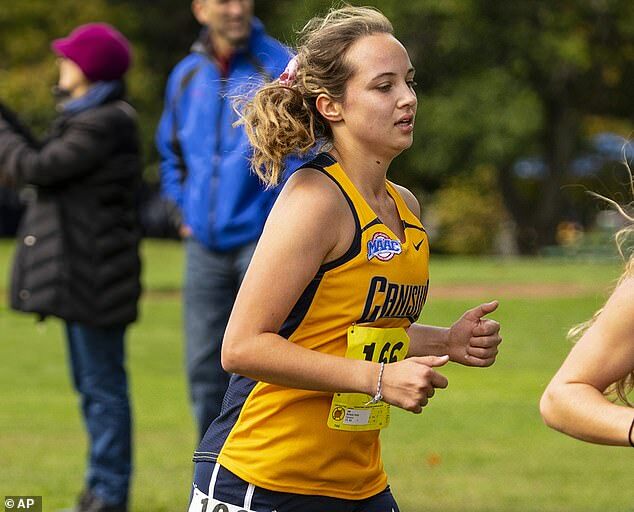 Canisius College runner Emily Scheck, 19, was kicked out by her family along with all of her belongings after her mother discovered a picture of her with her girlfriend. 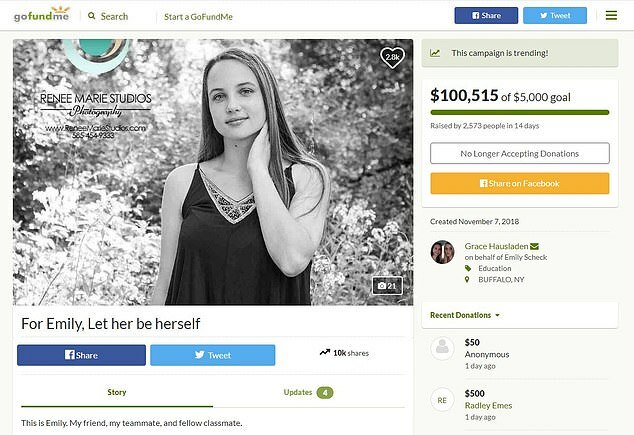 Thousands of kindhearted strangers have since donated their money to Emily on a GoFundMe page set up by her friends after she was given the ultimatum of leaving school and entering sexual-conversion therapy or being disowned. 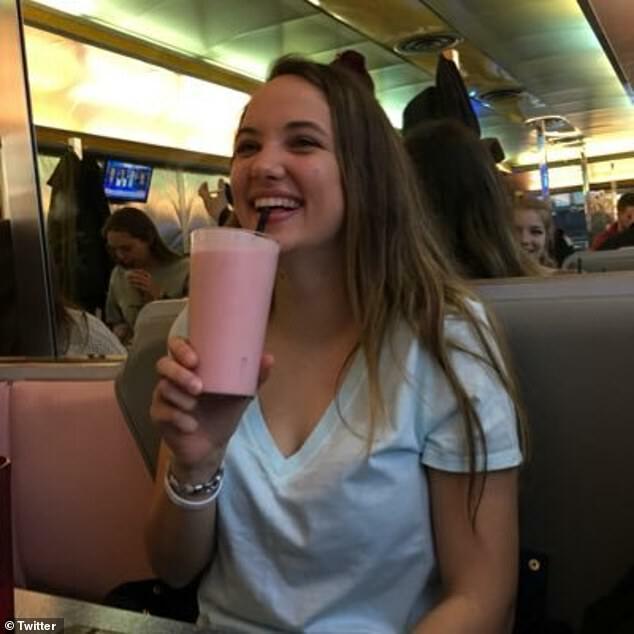 Emily, from Webster in New York, released a statement expressing how overwhelmed she has been by the response from people, but will now close the crowdfunding page after the total reached more than $100,000. She said: ‘Thank you to everyone who showed their love and support in this difficult time. The positive outreach has been unbelievable. Her statement encouraged supporters to give to LGBT organizations to help others who are struggling. She added ‘I now know that family is not always something you have, but something you find.’ It ended, ‘Love is love’. 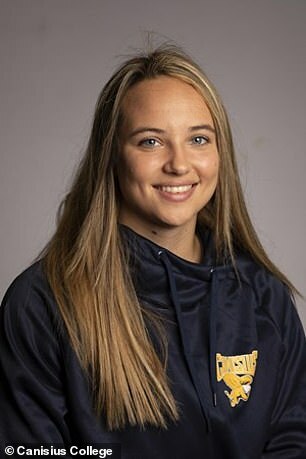 Emily nearly had to choose between the generosity of strangers and her college running career when the National Collegiate Athletic Association announced that it prohibits student-athletes from receiving goods and services. But after a significant outcry, the NCAA changed its position. The sophomore opted against conversion therapy, and when she returned to her campus home in Buffalo, she claims she found her car’s license plates had been removed and her childhood belongings had been shoved into the automobile, which she had purchased herself. 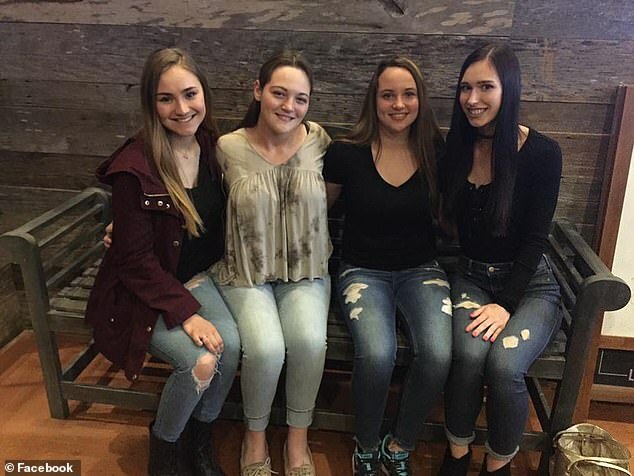 According to Emily, her father previously paid for the car insurance but decided to rescind the payments and remove the license plates, and actually drove all the way from their Rochester-area home to do so. What she had not paid for – tuition, books, and car insurance, among other things – was suddenly a significant problem. Emily, who works several jobs, was on a partial athletic scholarship, but with bills mounting, she realized she needed help. 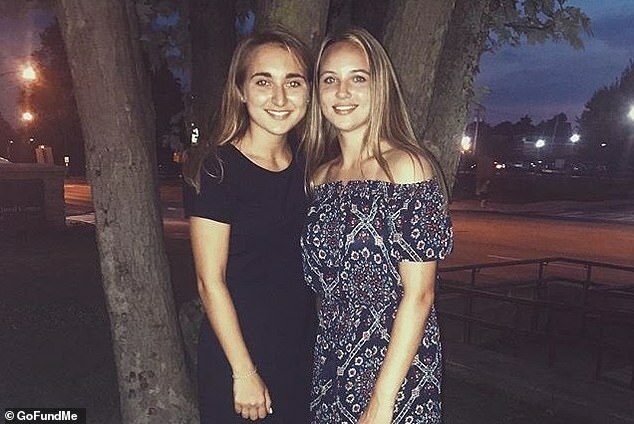 After her coaches tried and failed to find a solution, her friends stepped in to launch the GoFundMe page with the goal of raising $5,000. News of Emily’s plight was reported by The Buffalo News, which also interviewed her parents for their position. Emily’s father, Timothy Scheck, told the News he wanted his daughter to return home to participate in counseling sessions, but that did not mean conversion therapy. He insisted that the family accepts Emily as she is. Timothy expressed regret for initial comments he made to his daughter, saying that they were coming from a place of anger and hurt. He said that comments about disowning his daughter were a ploy to get her to come home. Emily, however, told the News that her parents’ behavior changed after the GoFundMe page was created. The story in The Buffalo News attracted even more attention to the crowdfunding campaign, which raised over $56,000 in just 11 days. But Canisius’s NCAA compliance office informed her she would be forced to either return every penny or to quit the cross-country team. According to Emily, the school offered to work with the NCAA to find a way to raise the money that would not put her eligibility in jeopardy. But after being contacted by The Buffalo News, the NCAA changed its position. 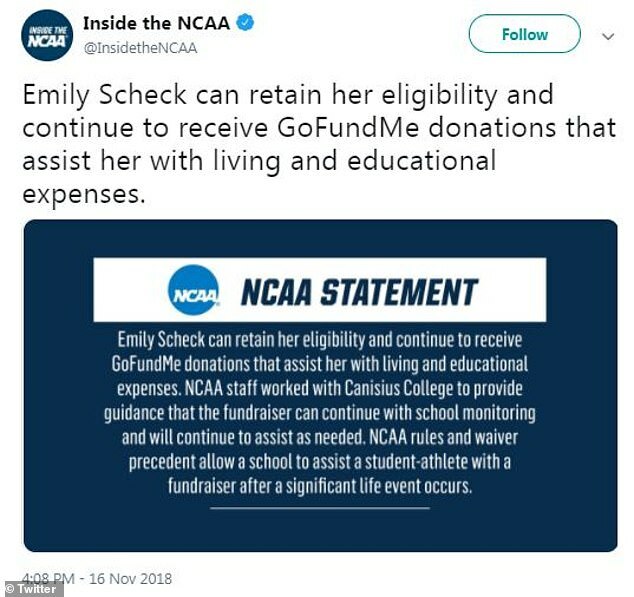 The NCAA said that Emily could keep the money raised on GoFundMe as long as Canisius monitored the situation to ensure it was being spent on necessary items. ‘Canisius and the NCAA will continue to work together in support of Emily,’ college spokesperson Matt Reitnour said.